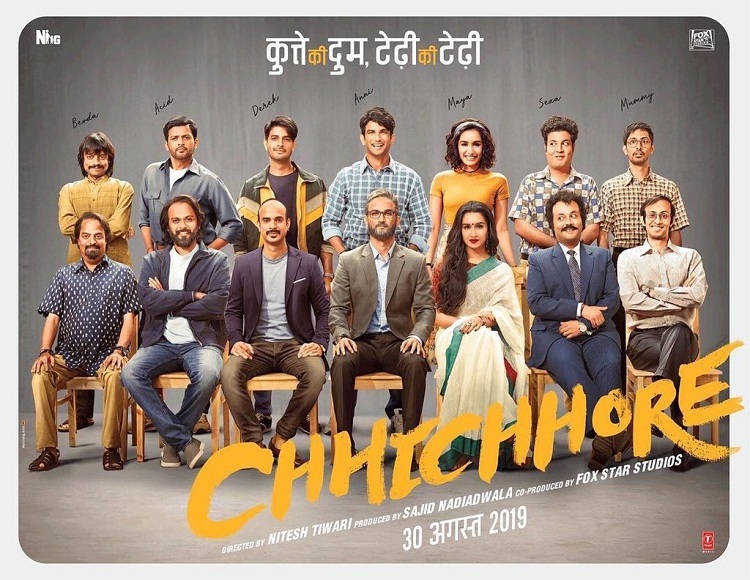 Chhichhore First Look Movie Poster; Film releases August 30, 2019! Presenting First Look Movie Poster of 'Chhichhore' starring Sushant Singh Rajput, Shraddha Kapoor and Varun Sharma. Film will be directed by Nitesh Tiwari of 'Dangal' fame and produced by Sajid Nadiadwala. Film will be co-produced by Fox Star Studios. Film is slated for release on 30 August, 2019! First Look of the film looks interesting. Chhichhore is definitely one of the film to watch out for next year.